I can’t believe 2017 is almost done and 2018 is fast approaching! This is year has been a much better year for my family. My husband is still on the road to recovery; but it has been nice having him home and help out with the kiddos. I just finished teaching the fall semester and let me tell you, what a crazy ride! I had the opportunity to teach some very unique students and what I enjoyed the most was their personal stories that they shared with me. This year I officially launched Grains of Truth and what a whirlwind it was been. Some highlights include getting interviewed for The Author’s Show which was so much fun! I entered their author contest and won! 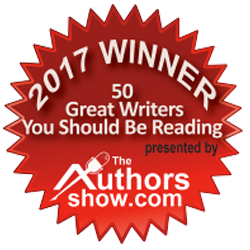 As a winner of their 2017 contest, the essay I submitted for the contest will be published as is in the 2018 edition of “50 Great Writers You Should Be Reading”. 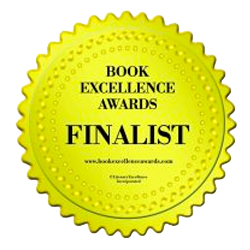 Grains of Truth was also selected as a Book Excellence Award Finalist in the category of Friendship. I also had the opportunity to be interviewed for The Writers Edge with McKensie Stewart. What a blast! I am now coming back to be part of the Writer’s Edge All-Star Show at the end of December. Until then back to writing I go!